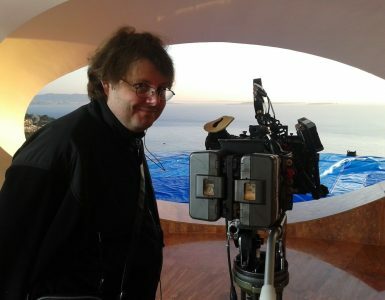 With close to nineteen years of professional experience in the film industry, New York Film Academy Los Angeles Cinematography Instructor Tommy “Maddox” Upshaw began his career as a teenager taking whatever opportunities came his way as a Production Assistant in the New York City and Boston area. Maddox’s opportunities came in the form of music videos, which led him to becoming a Union Grip/Electric for the span of 6 years before becoming a professional Motion Picture Cameraman, during which he earned a Masters of Fine Arts degree at the American Film Institute. Upon completing his Masters and beginning his career as a Cinematographer, there was only one focus in filmmaking, to become one of Hollywood’s premier Cameramen. With mentor and friend, Academy nominated Cinematographer Matthew Libatique ASC (Ironman, Black Swan), Maddox was given opportunities to work directly with some of Hollywood’s premier directors, such as Spike Lee, Jon Favreau, as well as Jonathan Dayton and Valerie Faris. As a Cinematographer and Music Video Director he won best music video at the Elevate Film Fest, and had his silent short film “The Known World” screened at a handful of film festivals across the country. 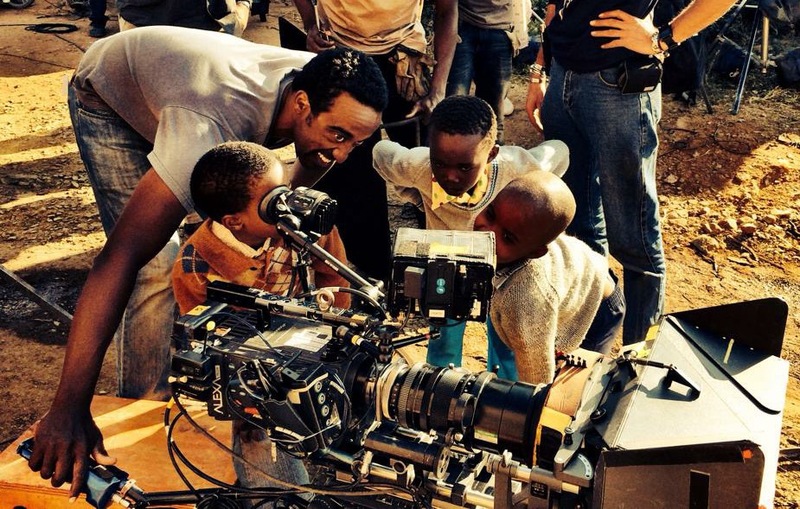 Upshaw was recently Second Unit Director of Photography on Straight Outta Compton and Cinematographer on The Perfect Match, among several other major projects. We had a chance to pick Upshaw’s brain in between his teaching and hectic Hollywood schedule. Can you tell us a little bit about your thoughts on the current cinematography program, and the direction you’d like to see it take? I feel the current program is great. It offers something that other programs around the country don’t. You have some extraordinary working professionals that are teaching cinema that still involves the process of starting on film, which is great because it’s giving a perspective of all the tools that are available to tell stories. The program will only get better if we as faculty hold our cinematography students to a different standard about work ethic and quality of story analysis and physical execution on set. 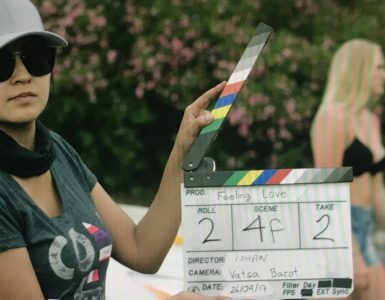 What do you hope to achieve as Instructor of Cinematography at NYFA Los Angeles? I hope I can help a group of young filmmakers believe they can have a stake in becoming a part of the elite filmmakers in Hollywood. I feel as though I’m giving them the tools to truly be great storytellers, and also tools to be great leaders on set, which is a part of being a Director of Photography. How do you feel your experience in the professional world will relate to NYFA’s cinematography students? I feel it probably helps my students to take me a bit serious when they see that I’ve worked on some fun projects over the years and that I keep working; in between teaching at NYFA, which is a blessing. Can you tell us a bit about the role of a 2nd Unit DP versus head cinematographer / DP? Second Unit DPs are either “Mr. Clean Up” on a scene or we get to do some fun action scenes from time to time. We also occasionally get to create some amazing transitions and moments that 1st Unit can’t do because of time. It’s a great place to learn from some great Master Cinematographers because they have to give you their notes—so you can match their work. With that being said, you get to see their applied notes and approach on set. What advice do you have for students looking to break into the professional world of cinematography in today’s industry? First off, you have to believe in yourself. Secondly, respect your own path on this journey. Learn about screenwriting, so then you can understand story-beat breakdowns. If you can make all your choices on story beats then you’re doing the best job for the project or movie. To just make cool images is not what it’s ALL about. Being honest to the story or product or moment is the job of a Cinematographer. The technology is easy to learn; how and when to use it is another thing. And lastly, just stay with it. If you truly love this craft, it’s a way of life and if you learn how to surf it, it’s fun and exciting.